Another sponsorship deal for Nexen tyres! It was announced back in 2015 that Nexen tyres had signed a sponsorship deal with Manchester City FC, to read more click here, since then it has been announced that Nexen will also become an Official Major Partner of Formula Drift, the premier US drifting series, this partnership will run throughout the 2016 and 2017 race seasons. This sponsorship will include signage on both the track and the live stream, as well as having video commercials both onsite and on CBS Sports coverage. Nexen have previously been involved with Formula Drift, however it has been noticed that the brand is growing and the President and Co-Founder of Formula Drift has expressed his excitement for the return of Nexen as a sponsor, he made the following comment. "We are excited to have Nexen Tire return as a major partner in Formula DRIFT. Nexen has made great advancements globally since the last time they were in the Series and this is reflected by their commitment to the 2016 and 2017 championship season, and with the signing of some of the best Formula DRIFT drivers and teams. We are looking forward to this partnership for the coming years." Nexen are making a huge effort to strengthen the name of their brand globally, aiming mostly at the sporting industry. The company has also been in partnership with Major League Baseball teams as well as having a premium sponsorship agreement for the Mercedes Cup for 2015/2016. Here at Hometyre we stock many different Nexen tyres in a variety of sizes at competitive prices, to see if we have your size available simply visit our homepage and enter your postcode and correct tyre size. You can either filter your results to see Nexen specifically or browse our whole selection available. If you need any help with your brand new tyres, just call our helpful team for free on 0800 783 9310 and we're happy to give you honest and friendly advice to ensure you get the right tyres for you. 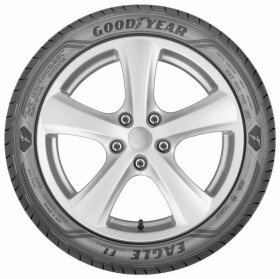 Having previously written about the Goodyear Eagle F1 Asymmetric 3 and the Continental Sport Contact 6, it only seemed fair to write about the third competitor for brand new high performance tyre releases ready for Spring 2016. The Michelin Pilot Sport 4 was launched at the start of this year, initially in 17" and 18" with more sizes expected to be released further into 2016 through to the start of 2017. 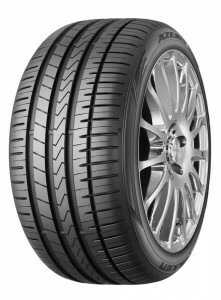 This tyre is already shaping up to be a great all-rounder, suiting both saloons and sports cars, offering a comfortable, safe and pleasurable ride. Designed with a tread pattern and compound influenced by Michelin's experience in racing, including Formula E, the tyre constantly adapts to the varying road conditions resulting in an optimised footprint on the road. Michelin have also worked to improve the levels of safety on the roads by using a new mix of compound with specific 'functional elastomers' and silica, providing outstanding wet grip and braking capabilities. Chances of aquaplaning are also reduced due to the wide and deep longitudinal grooves in the tread of the Pilot Sport 4. Michelins excellence in longevity also shines through in their new tyre, showing reduced rolling resistance and lower levels of wear resulting in lower fuel consumption, this is not only shown in the PS4 but also across the entire Pilot Sport range. To find out more about whether the Pilot Sport 4 is available in your tyre size, simply visit our homepage and enter your postcode and tyre information, or to speak to one of our friendly team about this tyre and many more we have available, just call 0800 783 9310. It's getting closer to that eagerly awaited Easter Bank Holiday weekend and people are starting to wind down. If you haven't already booked an appointment and your tyres are in need of replacing during this weekend, please call us directly before booking your tyres in online as availability is limited over the weekend. Have a great Bank Holiday weekend, from all of us here at Hometyre! This weekend marks the first bank holiday weekend of the year, Easter, welcomed by many Brits as they pack their bags and grab the first opportunity for a little break in 2016. Whether you're going on a romantic weekend away, a family break or taking your caravan for its first outing this year, the condition of your tyres is just as important as ticking off those packing essentials. For many people, this weekend will involve a long car journey to somewhere either for the day or for a few nights away from home, no matter what your plans are this weekend, before you get caught up in the excitement of getting away, don't forget the importance of checking your tyres. People are becoming more and more aware of the dangers of illegal tyres, the total number of casualties from tyre-related incidents over the last 5 years is over 5,500 of which just short of 1,000 people were killed or seriously injured*, here at Hometyre we cannot stress enough how important it is to carry out the following simple checks to ensure your tyres are safe and legal. Firstly, check your tread depth. Your tyres will have tread wear indicators, these are located in the grooves of the surface across the central part of the tread area, they are around 10mm in length and 2mm in height, these indicators are the easiest way to assess your remaining tread. The legal limit is 1.6mm within the central ¾ of the tread in a continuous band around the tyre, therefore if any part of the tread is at the 2mm mark, it is definitely worth calling Hometyre to have us come to your home or work to change your tyre(s) before you set off. Secondly, check your tyres for any obvious cracks, cuts or bulges. Tyres begin to crack over time due to their age, you can check a tyres age via the dot code (date stamp) on the sidewall of the tyre, this will show the week and year the tyre was made. For example, 3212 will be the 32nd week of 2012, if your tyres are more than 5 years old they may start to show signs of deterioration despite having sufficient tread depth, this is more common in caravan or motorhome tyres. Thirdly, check your tyre pressures. The correct pressures for your vehicle can be found in the driver's handbook and are sometimes found in the door shut or filler cap. Two pressures will be stated, one for part loaded and one for fully loaded, if you have the whole family plus your luggage, your car will be carrying a heavier load than normal, so be sure you have checked the recommended pressure for that heavier load in your car's handbook in order to make sure they perform optimally and safely. For more information on how to check your tyres please click here. If you are still unsure or worried about the condition of your tyres, please call us on 0800 783 9310, here at Hometyre we carry out free tyre inspections and will be happy to come out to your home or work to ensure you have peace of mind that your tyres are safe and legal, so you can truly enjoy the Bank Holiday weekend. As we previously mentioned, now is a good time to start thinking about switching back to your summer tyres, one of the first things to check is that your current summer tyres are in a safe and legal condition. The tread depth is not the only thing you need to look out for, even if the amount of useable tread is perfectly adequate if your tyres were made 5 or more years ago cracks may begin to appear, you can check the age of your tyre by the dot code (date stamp) shown on the sidewall. This will be denoted by either 3 numbers if manufactured before 2000, or 4 numbers from 2000 onwards, for example '269' would be the 26th week of 1999, or 2210 would represent the 22nd week of 2010. 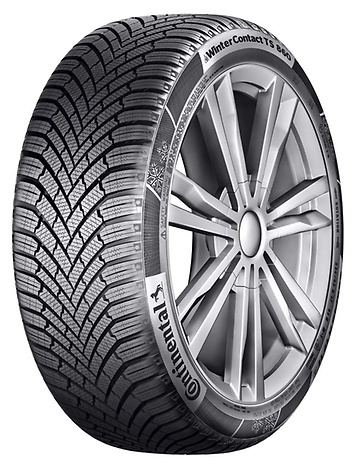 There are many new tyre releases ready for Spring 2016, one of which is the Continental Sport Contact 6. Although originally launched towards the end of last year, it is a summer tyre so will really show its true performance abilities in the coming months. The tyres predecessor has been criticised for lacking in that 'sporty' feel, despite being excellent on wet grip, braking performance and high comfort levels, reviews often claimed it needed that extra push. Continental have certainly listened to these critics when designing and engineering the Sport Contact 6, the new design features the Black Chili compound, offering maximum grip which leads to better acceleration and shorter braking distances in both wet and dry conditions. This compound combined with a development in the tread pattern has shown improvement towards steering precision and overall stability. 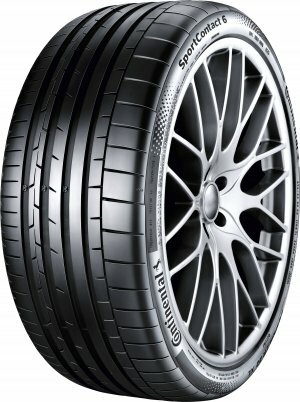 The tyre also features a new adaptive hybrid cap ply, Aralon350™, enabling maximum stability at speeds of over 200mph. The Sport Contact 6 initial launch showed 41 sizes being released for rims with a diameter between 19 and 23 inches and are expected to release further sizes dependant on the popularity of the product. To find out if we have your size available in the Continental Sport Contact 6 or many other premium brand tyres, please call our sales team on 0800 783 9310. 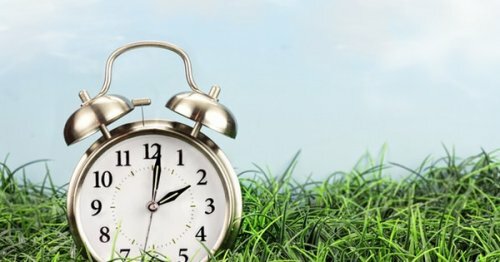 One week on Sunday the clocks spring forward, marking the start of British summer time, the nights are beginning to get lighter and the temperatures are showing signs of rising. Along with this temperature rise comes the time to change your winter tyres back to those all important summer tyres. Even if you have not had winter tyres over the colder months, it is definitely worth checking your tyres following the wear and tear of winter, there are some very simple checks you can carry out to ensure your tyres are safe and legal. Firstly, check your tread depth, the legal requirement is a minimum of 1.6mm in the central ¾ of the tyre around the entire circumference, however we recommend you look at changing your tyres from around 3mm. It is also important to check the tyre pressures, the correct pressure for your tyres can be found in the owner's manual, two pressures will be shown, one for fully loaded and another for part loaded. Thirdly, inspect your tyres for any signs of cuts or bulges in the sidewall, if you would like futher information on checking your tyres please click here. Following an inspection of your tyres, if you feel your tyres may be close to the legal limit it's definitely time to consider some new tyres for your vehicle. Here at Hometyre we have a large selection of new tyres, from budgets such as Three A and Excelon, mid-range brands such as Avon, Firestone and Hankook through to premium branded tyres such as Continental, Michelin and Pirelli. To see what we have available in your size, simply visit our homepage and enter your postcode and tyre information, if you're unsure which tyres are best for your particular needs just give our team a call on 0800 783 9310 for some honest and helpful advice. The demand for ultra high-performance (UHP) tyres is continuously growing and the high end market is booming, Falken have recently released a new competitor, the Azenis FK510. This high quality tyre has already gained a 'Highly Recommended' label from testers at the German auto magazine Auto Zeitung along with the 'Highly Recommended' status from the German association of technical inspectors. There are many improved features in this new design, engineers have developed the tread pattern of the Azenis FK510 to ensure even pressure distribution throughout the footprint of the tyre, this leads to improvements in braking, directional stability and driving dynamics. As well as the improved handling, the tyre also shows better protection against aquaplaning, this is due to the higher volume of grooves and contours in the shoulders, combined with numerous blade sipes, these are small 'cuts' in the pattern blocks, this allows more water to pass through at a more faster rate. Andreas Giese, Product Planning Manager Falken Tyre Europe GmbH has said "The Azenis FK510 offers everything that fans of advanced driving dynamics could wish for, with superb directional stability on straights and cornering, exceptional stability in high-speed corners, shorter braking distances and high resistance to aquaplaning." This tyre is expecting to be released in Spring 2016, to view our current range of Falken tyres along with many other mid-range brands, visit our homepage by clicking here and simply entering your postcode and tyre information, if you would like any advice with purchasing your new tyres please call our friendly team on 0845 783 9310, we're more than happy to help! Geneva Motor Show is underway! The 86th Geneva Motor Show is currently underway in Switzerland, displaying an impressive selection of new products and concept cars. Pirelli are making their mark on the show by exhibiting bespoke P Zero tyres on eagerly-anticipated models such as the Lamborghini Centenario, BMW 7 Series, Ferrari GTC4 Lusso, Jaguar F-Pace, Pagani Huayra BC and many more. The Audi R8 Spyder is roughly 50kg lighter than the coupe, due to this reduction in weight engineers at Pirelli have been asked to reduce the weight of the tyres to allow the vehicle to perform to their expectations. Pirelli have worked to specifically design a new P Zero for the Audi R8 Spyder, this new tyre weighs in at 10% lighter than its predecessors, due to this weight reduction the tyres are showing improvements towards lower fuel consumption due to the lower rolling resistance. Pirelli are showing a rise in development of bespoke tyres for specific vehicles, the numbers are continuing to rise throughout the first few months of 2016. This is proving Pirelli to be the technical partner of choice towards future vehicle development for many of the world's leading car manufacturers. If you are interested in having Pirelli P Zero or any other premium, mid-range or budget tyre fitted to your vehicle, just enter your postcode and tyre size into our homepage to browse our large selection of tyres, ready to be fitted to your vehicle at your home or work. Tyres. It might not initially seem like the most thoughtful of gifts, however what could be a greater gift to show your Mum you care than keeping her safe on the roads? Mum's are often too busy running around doing jobs for other people to stop and think of themselves, so take a couple of minutes out of your day to check both yours and your Mum's tyres, simply click here for more information on how to do so. Once you know your tyre size, simply visit our website and enter your information to browse our large selection of available tyres for fitting hassle free at your home or work! If you need any further advice on the best tyres for your car, call our friendly team on 0800 783 9310 for honest and helpful advice. It may only be the first week of March but at Hometyre we are already receiving plenty of enquiries from both new and existing customers regarding caravan/motorhome tyres from all of those owners out there gearing up for the summer months. Easter Bank Holiday weekend is coming around fast, falling early this year with Good Friday on 25th March, this weekend often marks the start of the new season for many caravan owners. Mobile tyre fitting is particularly handy for caravan/motorhome owners, with the ease of having Hometyre come out to your home the hassle of manoeuvring a large vehicle to a static site to have your tyres checked can be eliminated. The Caravan Club state the importance of checking the date of manufacture of your tyres, once the tyre reaches 5 years in age cracks begin to appear on the sidewall. Even if your caravan tyres appear to have sufficient tread they may still be unsafe, for more information on checking your tyres please click here. Another safety precaution becoming more popular amongst caravan/motorhome owners is the fitting of TYRON bands, this product prevents the tyre from coming off the wheel in the event of a puncture or blow out. Fitting TYRON bands to your caravan allows both time to travel to a safe stopping location whilst also preventing any serious accidents by allowing the driver to have more control and increased handling following a fatal blow out. 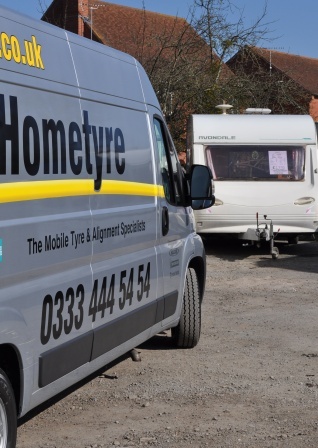 If you are interested in having TYRON bands fitted to your caravan or motorhome in time for the season, or simply want your tyres checking for peace of mind, call Hometyre on 0800 783 9310 to book an appointment with your local technician at your preferred location at a time that suits you! Another NEW sponsorship deal announced! 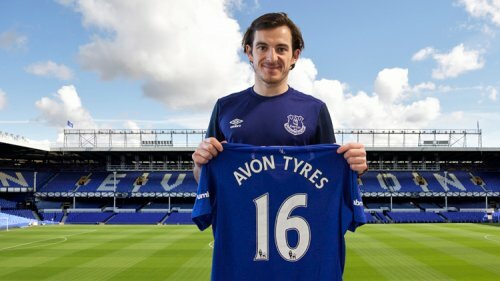 A new sponsorship deal has been struck between Everton FC and Avon Tyres, this new tyre sponsorship will continue for the rest of this season and into the 2016/2017 season, with Avon now becoming an official partner to Goodison Park. Brand awareness will continue to increase due to Avon Tyres having a strong presence within the Everton stadium. With football being by far the most popular UK sport, this new sponsorship is bound to provide a perfect way to publicise the tyre brand and allow Avon to reach out to a large number of new customers. The head of commercial partnerships at the club, Alan McTavish, has said in a recent statement, "The new commercial team here at Everton are delighted to welcome Avon Tyres on board to the Club's partner portfolio. Avon Tyres is an established, premium brand with a rich history in the motor industry and we look forward to working with them to achieve the brand's business objectives." Here at Hometyre we supply and fit various tyres by Avon, to see what we have available in this brand and many others simply visit our homepage by clicking here, enter your details and browse our large selection of budget, mid-range and premium tyres. For further information or any help choosing your brand new tyres, please call our friendly team on 0800 783 9310. F1 bosses thrive for more excitement! F1 bosses have announced they have asked Pirelli to produce a tyre that drivers will be able to push to the limit in 2017. The current tyres degrade too quickly for drivers to be able to race flat out, it has been announced that the FIA have spoken with Pirelli and requested a tyre which will allow drivers to push harder for longer. The main reason behind the demand for faster tyres is because bosses are thriving to make the sport more exciting, the plans for tyre developments are said to increase lap times by as much as five seconds. F1 have highlighted various issues with the current tyres, the tyres begin to lose performance above a certain temperature and never recover that loss, this results in drivers often racing below the limit in order to manage the tyres in order for them to gain the best race time possible. This is something drivers have never been happy with, however following two 200mph tyre failures at the Belgian Grand Prix they have called for something to be changed. The FIA plans to provide full information to Pirelli regarding requirements for the tyres performance by the end of March, for now Pirelli has been given introductory information about the performance the cars are expected to have in 2017, work can now begin on an initial tyre design resulting in those all important faster lap times. Yokohama put on an impressive stand at Autosport International at the NEC in Birmingham last month, the display included the Barclay's Premier League trophy, held by Chelsea FC. The trophy was on display to promote the first Yokohama product to feature Chelsea FC branding since their 5 year sponsorship deal was struck in early 2015. 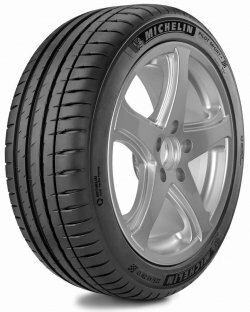 Yokohama have already launched this product in Japan and will be launching it in the UK, the rest of Europe, Asia and South America in coming weeks, however it will only be available in 3 sizes - 195/65R15, 205/55R16 and 225/45R17. As well as demonstrating support for the club for fans worldwide, this tyre also shows great performance, safety and efficiency. 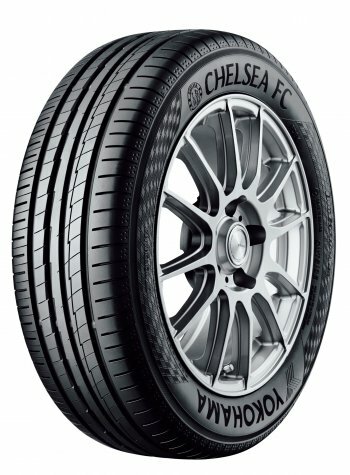 The "BluEarth-A AE50 Chelsea FC Edition" is a development of the high-performance and fuel efficient BluEarth tyre, featuring the Chelsea Football Club logo on the sidewall. To view our range of Yokohama tyres, along with many other brands, just click here and enter your tyre information, or feel free to call us on 0800 783 9310. Goodyear Dunlop have announced an immediate product recall of ALL Dunlop Sportmaxx GT summer tyres in the size 255/40ZR19 100Y XL with the DOT code (Date of manufacture) reading DN5W JC1R 3715 or DN5W JC1R 3815. The company have said with confidence that no other sizes have been affected in this range along with no other products or brands. This product recall is due to the use of an incorrect tread compound, resulting in a major reduction of the tyre's wet grip abilities which arises a road safety risk for all motorists with these tyres. If you have any doubt regarding whether you have these fitted to your car, it is very important to check your tyres, if you find you have the Dunlop Sport Maxx GT mentioned above please avoid driving in wet road conditions and contact us at Hometyre. We will be able to come out to your home or work address to replace your tyres and ensure you are as safe as possible on the roads. Fortunately, we are positive this product recall will not affect any of our existing customers, however if you have doubts regarding the condition of your existing tyres, please contact us on 0800 783 9310 to arrange an appointment with your local technician at a time that suits you. Nokian has launched its latest summer tyre, the iLine, this tyre is aimed mostly at smaller vehicles and medium-sized family cars. There are many key benefits following the design and engineering behind this new tyre, one of which is improvements towards preventing aquaplaning. Although we are heading into the summer, we live in the UK and unfortunately there is bound to still be a lot of rain heading our way, which can lead to aquaplaning. Aquaplaning occurs when traction is lost between the tyre and the road surface caused by a sheet of water, control of the vehicle is lost which can be incredibly dangerous. The new technology by Nokian uses 'Venturi Grooves' on the inner and outer shoulders, these contoured grooves are located between the tread blocks and work to disperse a larger amount of water. Another contributing factor is the asymmetrical inside-outside tread pattern, also working to remove water between the tyre and the driving surface at a faster rate, leading to that all important reduction in chances of aquaplaning resulting in keeping you and your passengers safer on wet roads. There is a great focus on aquaplaning with the iLine, as well as the above technology, Nokian have also introduced a water drop symbol as an indicator into the tread to make you, as a driver, aware of the risks. Once the tread reaches 4mm the water drop symbol disappears, indicating the risks of aquaplaning are increased as the tyres wear below this point. Nokian also show improvements towards fuel efficiency due to the low rolling resistance, this is possible due to the hemispherical, golf ball-like indentations on the walls of the longitudinal ribs controlling the air flow of the tyre. As well as reducing air resistance, the 'Silent Groove' Design also reduces noise levels both inside and outside the vehicle, allowing driving to be enjoyably quiet. The iLine tyre also shows increased durability, this is due to the pine oil added to the silica tread compound, this works to reduce the temperature of the rubber compound therefore reducing the friction caused by inter-molecular movement. Nokian claim this allows the iLine to last much longer, consume less fuel, roll lighter and minimise harmful emissions. This new innovation from Nokian will be available in a wide range of sizes from spring 2016, for more information on the iLine and other tyres available from Nokain, please call our friendly team on 0800 783 9310 or visit our website to see the large range of other brands we have available at Hometyre. Goodyear have recently announced the arrival of their new summer tyre, the Eagle F1 Asymmetric 3, this new performance tyre has a reduction in braking distances on both wet and dry roads. These reductions are around 2.6 metres shorter in wet braking and 1.3 metres shorter in dry braking compared to the average of other well known premium tyres. The new grip booster compound ensures grip to the road surface is greater, again contributing to those all important improved braking distances. As well as offering these impressive steps towards shorter braking distances, the new reinforced construction technology shows improvements towards handling of the vehicle, cornering performance, fuel efficiency and tread wear. This tyre is available in select sizes now, with the majority of sizes are predicted to be on sale in March 2016. 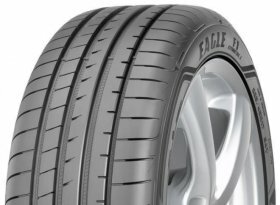 For more information or to see if we are able to supply your size in the new Goodyear Eagle F1 Asymmetric 3, please call us on 0800 783 9310. The Continental Winter Contact TS850 has been dominating the winter tyre market over previous years, coming out on top in just under 50 comparative tests run by the European trade press, automobile clubs and consumer organisations. Continental have developed the Winter Contact TS860, which is proving to show some next level improvements on the TS850. Braking distances are 4% shorter on ice and 5% shorter on wet and wintry roads. There are also improvements towards handling, grip and general ride quality. These positive steps forward are a combination of a new tread compound put together with a newly developed tread design. The 'Cool Chili' compound has a highly flexible polymer matrix and a high proportion of silica, this reduces braking distances and shows noticeable improvement in traction on wet and wintry road surfaces. This compound is an all rounder and maintains its flexibility even at low winter temperatures, enabling shorter braking distances on wet, cold, icy and snow-covered roads. As well as the 'Cool Chili' compound, the TS860 has also been designed with 'Liquid Layer Drainage', this basically means that when you brake on an icy road, a film of water is created under the tread, this reduces the tyre's contact with the road. Combined with an additional drainage channel in the tread, this allows the water to drain away much faster, leading to that all important shorter braking distance in cold weather. Continental are expected to release the new Winter Contact TS860 to retail outlets from autumn 2016, until then, you can view our range of Continental tyres, along with many other premium brands available to you, by clicking here and entering your tyre size. If you would rather speak to a member of our team, just call us on 0800 783 9310 and we will be more than happy to help! At this time of year, potholes are appearing much more often on our roads in the UK. 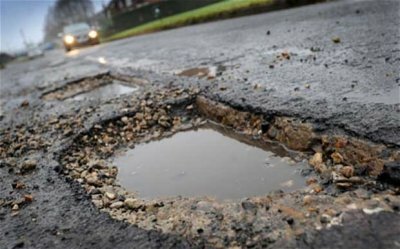 Potholes are created when water seeps into the underlying structure via cracks in the road surface, in the winter this water expands when it freezes, causing the gravel underneath to move. When the weather starts to get warmer and the water melts, a hole is left under the road surface and eventually caves in from the pressure of various vehicles repeatedly driving over it. Potholes are one of the biggest pains for many UK motorists, I'm sure you would agree! 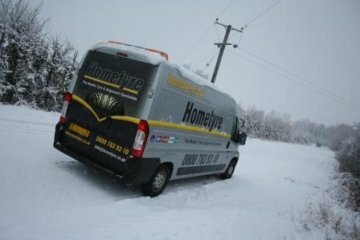 Here at Hometyre we take multiple calls a day from unfortunate drivers who have hit one and suffered a flat tyre. Although approximately 60% of punctured tyres can be repaired, it is often likely that the damage caused by a pothole can be too severe to carry out a repair to the British BSAU159 standards. For more information on puncture repairs, click here. As well as causing tyre failures, potholes can also knock your tracking out. If you hit a pothole, ensure you pull over and inspect your tyres for any signs of damage, if your tyres appear to be fine but once you begin driving again your steering wheel is vibrating or pulling to one side it is definitely worth getting your wheel alignment (tracking) checked. If the tracking on your vehicle has become misaligned it can cause uneven and premature wear to your tyres over time, which means they will need replacing much sooner. It can also increase rolling resistance which can lead to higher fuel consumption, and nobody wants to be spending more than they have to on filling up their vehicle! For more information on wheel alignment please click here. If you suffer a puncture or a blow out and would like us to come out to your location to asses the damage, please call us on 0800 783 9310. We always try to repair a puncture if possible, however if it's not repairable, at Hometyre we always ensure we have a replacement tyre on board with us so we can get you back on the road! December 2015 was one of the warmest on record, with the temperature staying above average for the majority of the month. As predicted, winter has started to hit us at the start of 2016. There were many mornings in January motorists were sat in their car, waiting for those heaters to slowly warm up and clear their windscreen. As well as this cold and bad weather affecting the mood of drivers, it also affects the car itself. At Hometyre, there is one plan of action we can help you to take, replacing your summer tyres with winter tyres. There are many advantages to switching to winter tyres, many people believe they are only beneficial in minus temperatures, however their performance is much better than that of summer tyres from temperatures below just 7°C. Stopping distances and control are greatly improved, on icy roads your car will stop an average of 11 metres shorter, and braking distances on wet roads are improved by 10%. Winter tyres also perform much better during aquaplaning, this is basically when there is a sheet of water on the road surface and traction is lost. Drivers lose control of the vehicle and it slides over the surface of the road, winter tyres are able to disperse a larger amount of water than summer tyres which will majorly reduce the chance of aquaplaning, keeping yourself and your passengers much safer on the roads at this time of year. 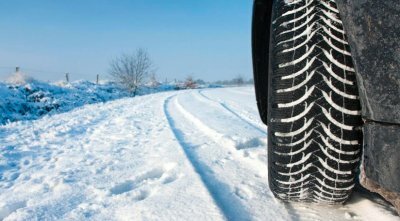 For more information on winter tyres, click here. To view the full range of winter/cold weather tyres we have at Hometyre, simply click here and enter your required size and you can filter down the options to view just winter tyres using the options on the right hand side of the page. Alternatively, if you would rather speak to a member of our friendly sales team, simply call us on 0800 783 9310. Checking your tyres - something that may often slip your mind, or something that you will do 'next week', this is something that should not be pushed to the back of your mind. TyreSafe have announced that regular tyre checks will reduce casualties and save millions of lives, at Hometyre we also urge motorists to regularly check their tyres are inflated to the vehicle manufacturers recommended pressures and that they have sufficient tread depth. It is important to check your tyres for any uneven wear and also for any cracks that may appear in the sidewall of your tyres. Illegal or damaged tyres are the single largest contributing factor of all accidents which are caused by vehicle defects. According to the DVSA over recent years, 2.2 million cars annually fail their MoT due to tyre-related issues and on top of that, over the past three years the number of convictions for tyre-related offences has exceeded 15,000*. A few easy tyre checks are recommended, taking less than a couple of minutes to complete, these should be carried out at least once a month and before a long journey. Simply check tread depth, air pressure and general condition of your tyres. The legal tread depth is 1.6mm in the central ¾ of the tyre in a continuous band around the entire circumference. The correct air pressure for your tyres can be found in the owner's manual, there will be two pressures stated, one for when fully loaded and another for when partly loaded. To view our guide on how to check your tyres, click here. If you check your tyres and have any worries regarding whether your tyres meet these standards, please contact us straight away at Hometyre so we can be sure you are driving both safely and legally on the road.